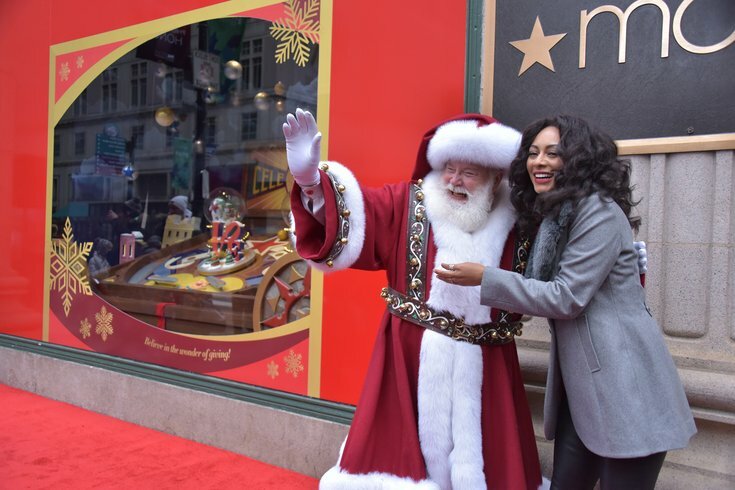 Santa and singer Keri Hilson during Macy's holiday window unveiling at Macy's Center City, Nov. 17, 2018. The curtains lifted on the 11th annual Macy's Center City Holiday Windows this Saturday as the festive season swings into full gear. This year Macy’s again is partnering with the Make-A-Wish Foundation for the annual Believe campaign, giving the gift of joy to children with serious illnesses. By sending a letter to Santa, shoppers can help grant the wish of a critically ill child. For every letter submitted in-store or online at Macys.com/believe a one dollar donation is make to Make-A-Wish ending at the $1 million mark. Joining Santa this year for the big reveal were singers Keri Hilson, Jaye Valentine and Sam Tsui. 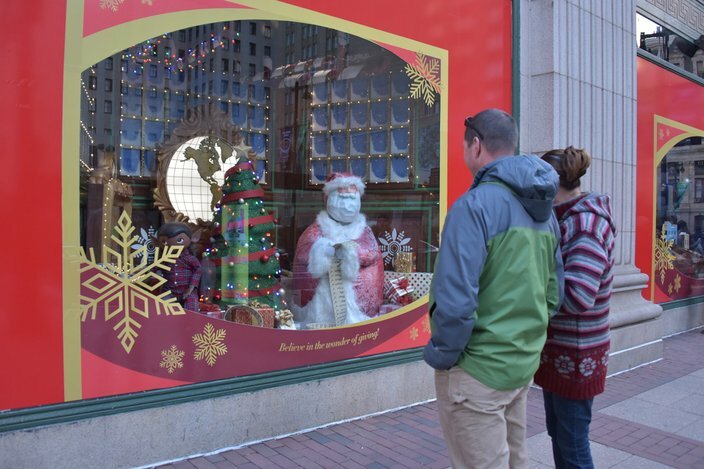 People check out the Macy's holiday window unveiling at Macy's Center City, Nov. 17, 2018. 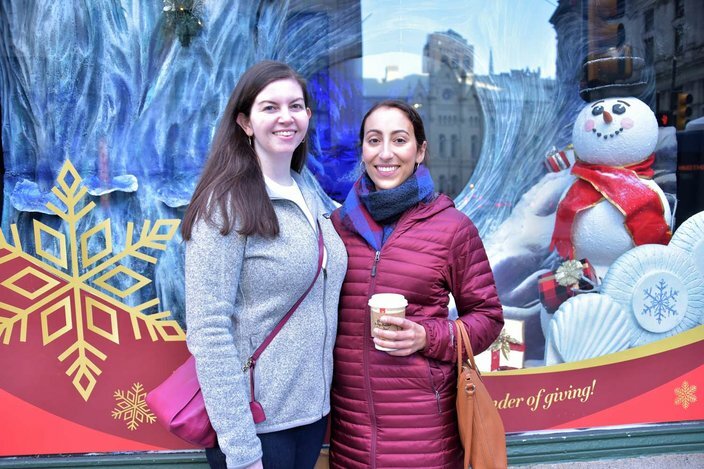 Annie Bentley and Natasha Azar at the Macy's holiday window unveiling at Macy's Center City, Nov. 17, 2018. 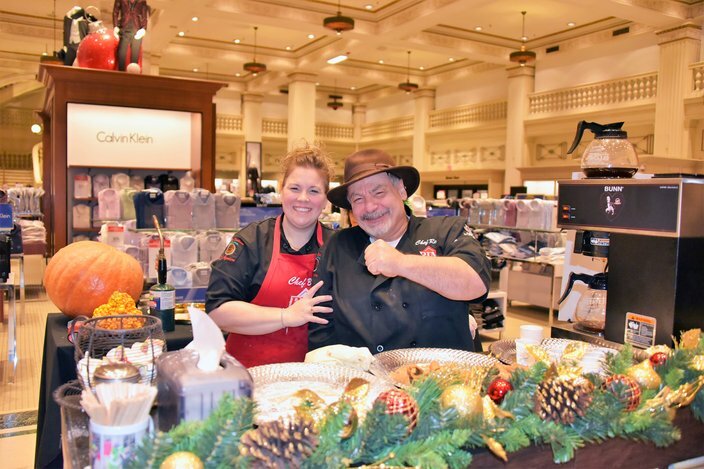 Rim Cafe's Bellle Grace and Rene Kobeitri gave out Cannoli's to guests. 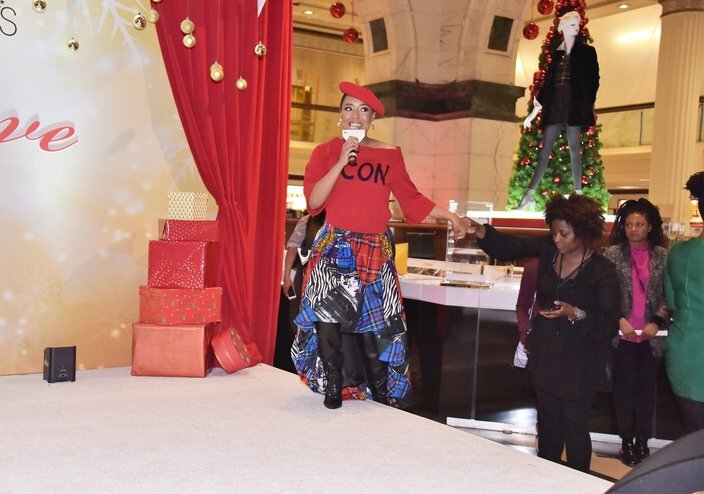 Singer Jaye Valentine performs during Macy's Center City holiday window unveiling at Macy's Center City, Nov. 17, 2018. Singer Jaye Valentine performs during Macy's Center City holiday window unveiling at Macy's Center City, Nov. 17, 2018. 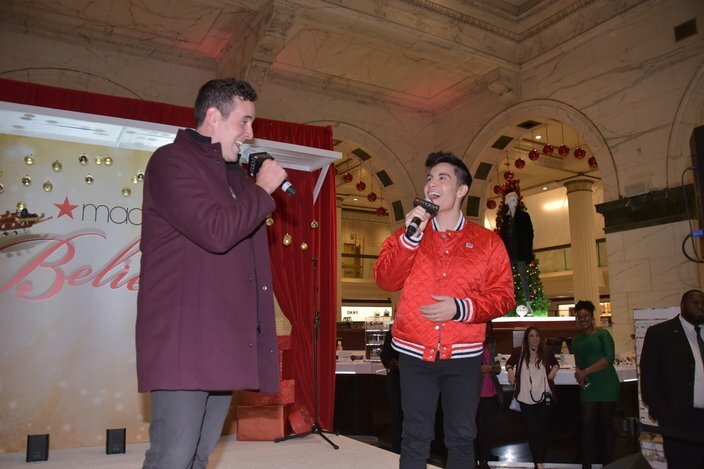 Singers Casey Breves and Sam Tsui perform during Macy's holiday window unveiling at Macy's Center City, Nov. 17, 2018. 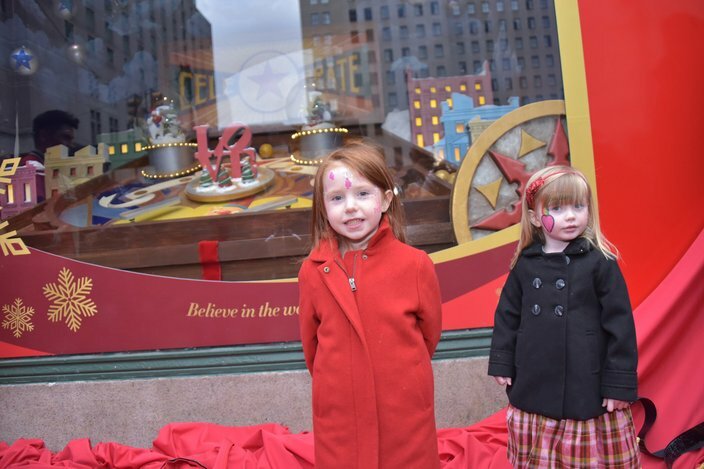 The Flanagan sisters were on hand thanks to the Make-A-Wish Foundation during Macy's holiday window unveiling at Macy's Center City, Nov. 17, 2018. 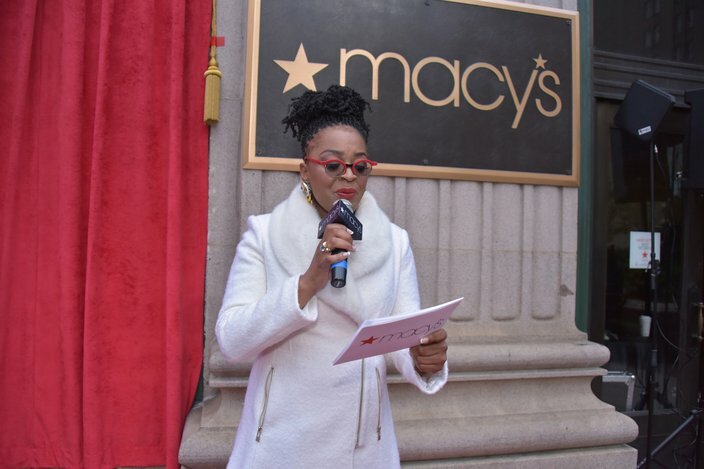 Radio personality Laiya St. Clair during Macy's holiday window unveiling at Macy's Center City, Nov. 17, 2018.